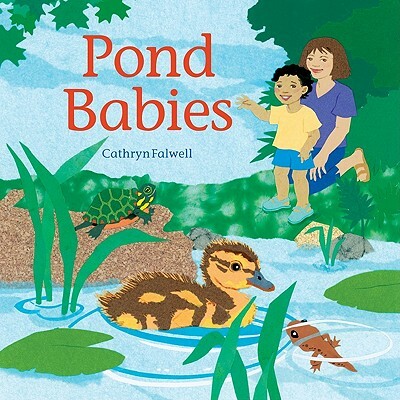 Pond Babies is a book for very young children (2-5). It helps kids in their exploration of the natural world as they discover the creatures that live around the pond. Vibrant cut-paper collage in Cathryn Falwell's signature style, along with a humorous bit of self-discovery at the end, make this the perfect book to share with the very young. The simple, appealing story also makes it a great choice for early readers.